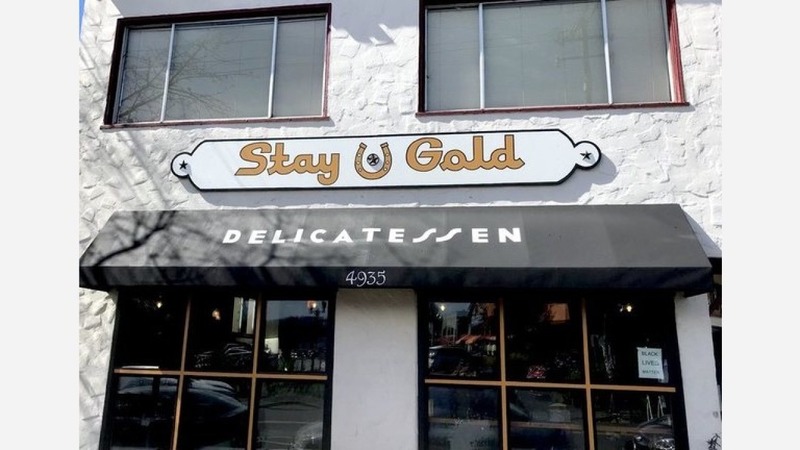 This month, Stay Gold Deli opened its second location at 4935 Shattuck Ave. (between 51st St. & 49th St.). As we reported earlier this year, the popular West Oakland eatery was in the process of expanding its operations to Temescal in the space that previously housed Sacred Wheel Cheese & Specialty Market, which closed in December 2017. Now that the new spot is open, expect to see many favorites from its flagship location, plus a few new Temescal-specific eats. If you're going the barbecue route, look for beef brisket, pulled pork and barbecued ribs. For sandwiches, there are options like the BB Gun, which includes roast beef and provolone; the Smoke Stack, with seasonal veggies, smoked tofu and hummus; and The Butcher, which combines prosciutto, Spanish chorizo and mozzarella. With a five-star rating out of two reviews on Yelp so far, the new addition has already made a good impression. Matt B., the first reviewer, praised his Amarillo by Morning (brisket, bacon, cheddar, jalapenos, BBQ sauce, and poblano aioli on sourdough), noting that his sandwich "didn't look very appetizing, but it didn't need to," because it "was bursting in flavor." Yelper Bobby D. said Stay Gold is "stunning! I'd get a sandwich if you're looking for a bump of deliciousness. But if you really want the goodness gracious, get yourself some barbecue mix plate." Stay Gold Deli is open from 10:30am to 10:30pm at 4935 Shattuck Ave.